Two doctors from Suzhou who tried to publish fake articles in medical journals found themselves to be the subject of fraud when their 'ghostwriters' pocketed 5600 yuan. 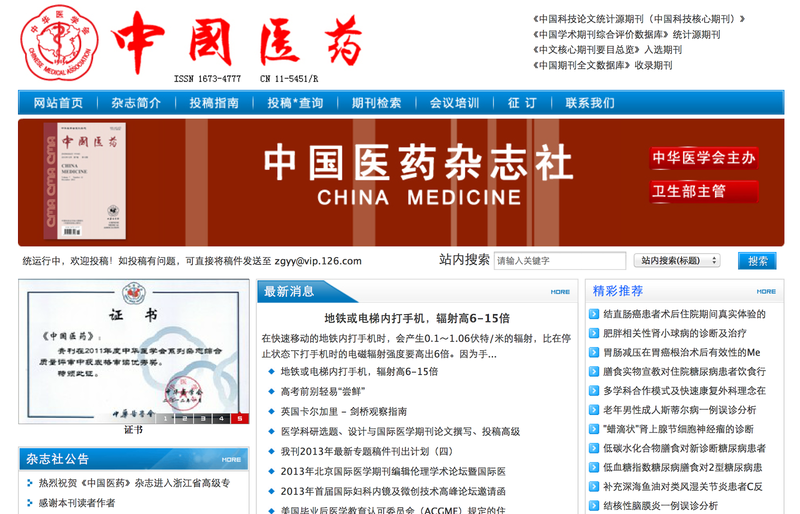 The two doctors attempted to cheat on medical publishing requirements for promotion by getting an online 'writing agency' to write an article in their names and have it published in the "China Medicine" journal. The deception arose because in China it is necessary for doctors to get work published in journals in order to obtain advancement in their careers. The two Suzhou doctors felt they didn't have the time or the inspiration to do an article of their own, so they turned to an internet ghostwriting agency website that offered writing services for such situations. The website promised that an article could be written on a topic of their choice and published in the "China Medicine" journal. The doctors paid 2800 yuan and sent a list of suggestions for the article content. At first the writing agency seemed very competent, and sent them a manuscript for their comments and revisions. The agency then asked them for a further 2800 yuan for publication fees. However, when the doctors sent the money, they never heard anything more from the online agency. When they checked the website of the China Medicine journal they found their article had not been published. They later found that the agency had a fake address and the phone had been disconnected. The doctors reported the fraud to the police, but they were unable to track down the fraudsters. The police advised anyone thinking of publishing to check the publisher credentials.